A couple weeks ago we made the hard decision to give up our poultry exemption that allows us to legally butcher and sell our our processed birds here on the farm. It was a tough choice for us to make because around here we make every effort to assure the our animals have very happy lives to the very last moment possible. The idea of putting their deaths in the hands of others was one that we did not make lightly. Unfortunately, Big Onion and I only have so much time. We found that we were putting off and dreading processing days. They ate up hours of our rare and valuable weekends together. Time that could be spent on projects to improve the farm. They also left us drained both mentally and physically. We are very lucky to have a facility just the next town over that specializes in processing ducks and chickens. We have been buying some of our duck parts from there to make our raw ground duck pet food for over a year now. We have a very good relationship with the people who run this facility, and they were kind enough to give me a tour and walk me through every step of the process. 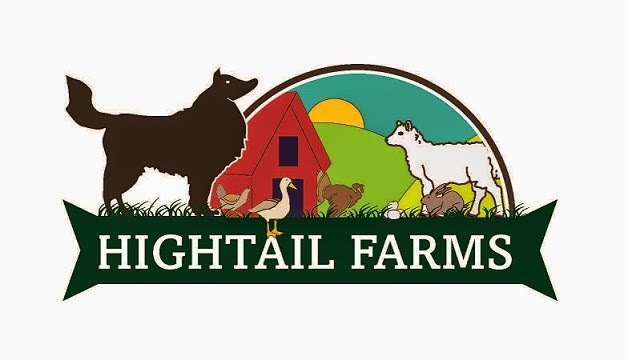 The facility is immaculately clean and all processing is done under the constant supervision of a USDA inspector to ensure not only that proper procedure and food handling rules are enforced, but also that the welfare and safety of the animals is kept a high priority. With all of this in mind, we decided it was high time to part with some of the drakes (male ducks) in our flocks. The last batch of pekins that we raised was over half male. We also had a number of older boys that tended to be rough on the ladies come mating season. We sorted out all of these males using exercise pens and Luna and put them in Buzz and Bonnie's old pen over night. Bright and early the next morning I packed them up in crates and brought them over to the facility. I was lucky that I got there at just the right time. Everything was set up and ready to go and our birds ended up being processed as soon as I dropped them off. We were able to pick up beautifully packaged, vacuum sealed bird two days later that we didn't have to pluck ourselves (that's the best part!). We ate one ourselves, the dogs got the few older birds, and a some of our regular egg customers snapped up the rest! 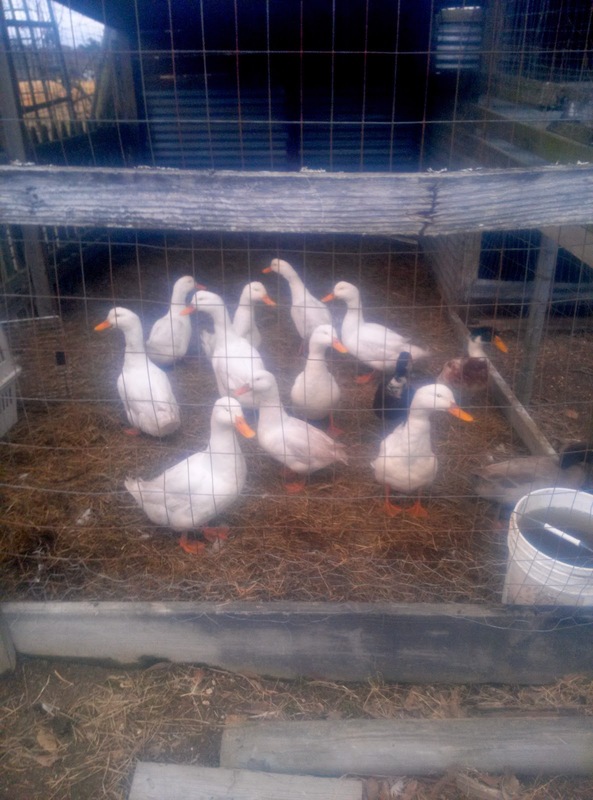 Special thanks to all our customers who purchased these ducks from us! I hope you enjoyed them as much as we did ours!